If you'd like to talk to someone about Sheffield Scholars then email sheffieldscholars@sheffield.ac.uk or telephone + 44 (0)114 222 1319. The application deadline is Monday 13 March 2017. 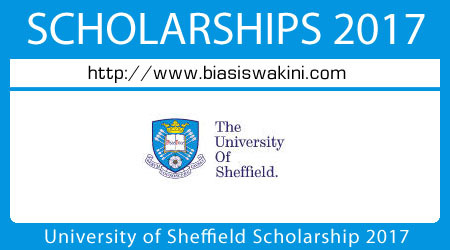 0 Komentar untuk "University of Sheffield Scholarship 2017"